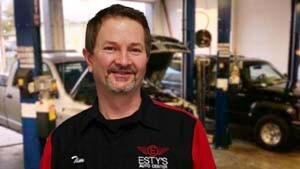 At Esty’s Auto Center, we aim to be the premier auto repair center in Longview, WA. We believe that the best way to achieve this is to be uncompromising when it comes to providing excellent customer service and top-quality repairs. Our expert team has over 75 years of combined experience in auto repair and can easily resolve issues ranging from a simple oil change to a major engine repairs. Each of our technicians has been working in the automotive industry full-time since graduating from Auto Tech School and is an ASE Certified Master Technician. We don’t just expect our staff members to provide outstanding customer service, we expect them to stay up to date with the latest innovations and best practices in the auto repair industry. Staying well informed and having a wealth of experience and knowledge is a great start, but to make full use of their skills, technicians need the latest equipment. This is why we continuously invest in the latest and best equipment. 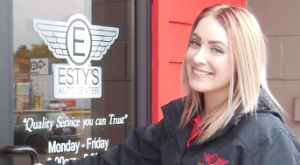 Give us a call or contact us online to request an appointment and find out why Esty’s Auto Center Inc is the Longview community’s number one choice for auto repair and service. David received his Associates Degree in Automotive Technology from the Universal Tech Institute of Phoenix in 1992. Since then, he has received his Master Technician Certificate with Advanced Level Specialist rating, with certificates in Advanced Engine Performance, and Light Duty Hybrid/Electric Vehicles. He has worked exclusively in general automotive repair for the last 24 years as a lead technician, giving him the knowledge and experience that is essential in today's high-tech auto repair world. David lives in Longview WA with his wife and two children. In his spare time, David enjoys spending time with his family and working on classic and hot rod cars. Tim was born and raised in the Longview Kelso area, graduating from Kelso High before enrolling in the Automotive Technology program at Lower Columbia College, where he graduated in 1986 with an Associate's Degree in Automotive Technology. Since then Tim has been working full time as a journey level automotive Technician. Tim has also completed the testing and other requirements to earn his Master Technician Certificate. In his spare time, Tim enjoys spending time with his family, enjoying the outdoors, and visiting the Puget Sound area, including many weekends on Hoods Canal. Taylor was raised in Cowlitz County, and Graduated from Kelso High in 2010. She was a four-year varsity letter recipient for soccer, gymnastics, and softball. After Graduation Taylor joined the Army! She finished basic training at Fort Jackson in South Carolina, spent a year and a half in South Korea, and eventually stationed at Fort Bliss in El Paso, Texas. In her spare time, Taylor loves spending time with her young son Chandler, shopping, traveling, duck hunting, and spending time outdoors. You will normally find Taylor at the front counter, answering the phone, creating estimates, ordering parts, and all of the other many tasks that are required of her. She always does whatever is possible to get your car repaired on time, on budget, and repaired right the first time!